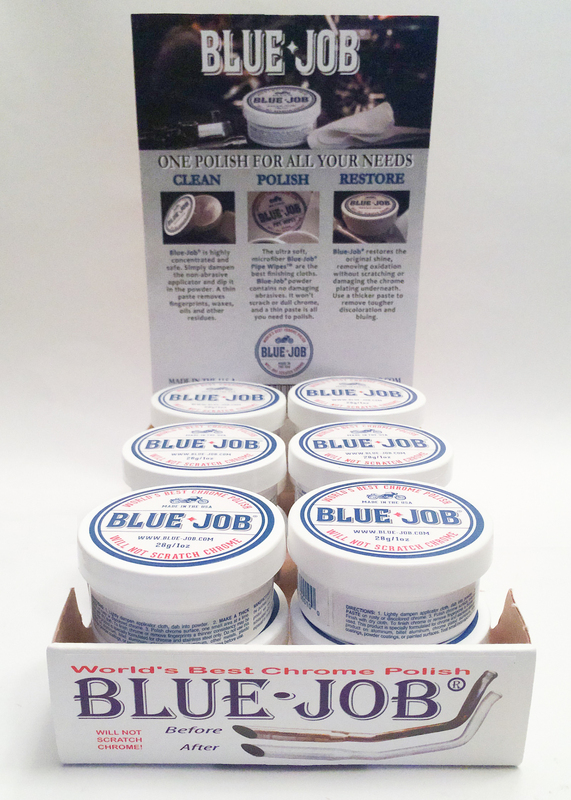 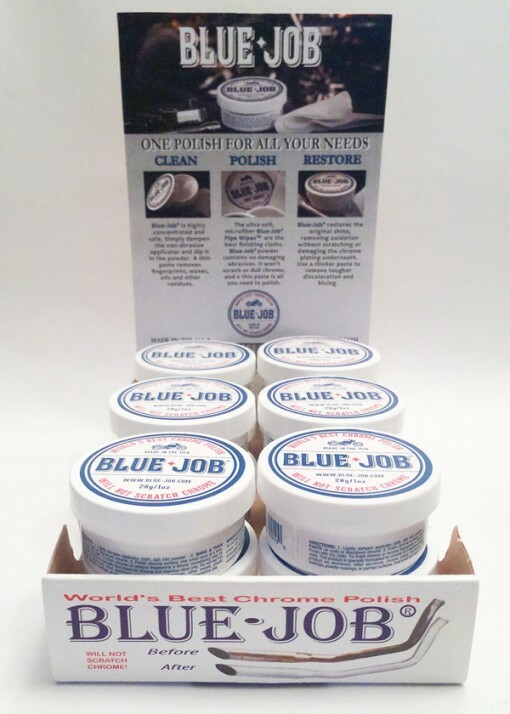 Blue-Job Chrome Restorer “The World’s Best Chrome Polish”. 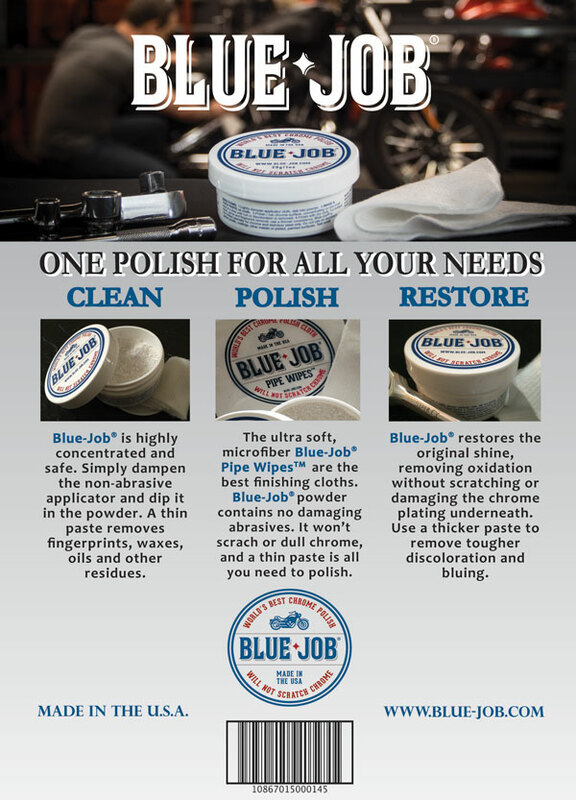 Removes the Exhaust Pipe Blues, Burnt On Shoe Rubber, yellowing, Surface Rust and Fingerprints. 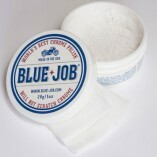 Contains 12 tubs each of 28 grams.